Anna and I have kicked off this vacation by exploring Tokyo, and I got a few minutes on a bridge to film a review of the first day of my Japanese learning challenge. I previewed this on the YouTube channel a couple weeks ago, but if you missed that, the gist is that I challenged myself to see just how much Japanese I could learn (or re-learn) in the 10 days leading up to my flight to Japan. In this video, I’ll show you the specific goals I wrote down going into the challenge. I’ll also share my top 10 Japanese learning resources, in case this is something you’d like to do as well! They’re also listed below in the video notes section. 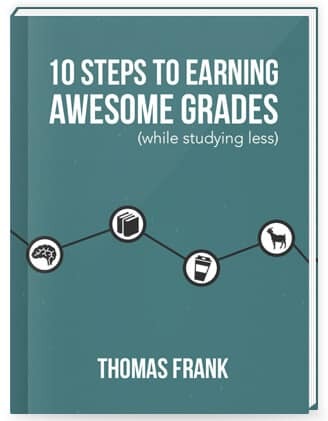 If you want to learn a language, you’ll find plenty of generally useful learning hacks that’ll help you along the way in my 100+ page book called 10 Steps to Earning Awesome Grades (While Studying Less).